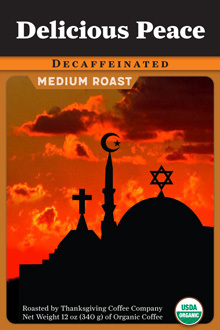 Sweet and full-bodied with hints of pecan and nutmeg, pleasantly assertive milk chocolate, marzapan, and subtle perfume of fresh vanilla bean. 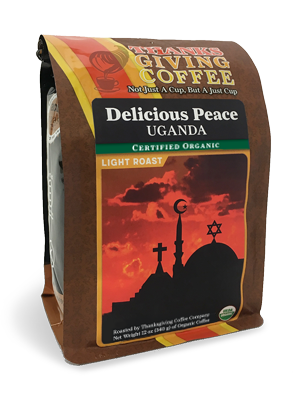 In 2003, a Ugandan farmer walked door-to-door asking his Muslim, Christian, and Jewish neighbors to leave behind a history of conflict, and unite to face their struggle against poverty caused by low coffee prices. The farmers came together and founded a cooperative to build peace and prosperity in their community. From 2004–2014 they were known as the Mirembe Kawomera Interfaith Cooperative. Today, after a decade of support, the co-op no longer exists, having been depleted by the corruption of its founder. But! 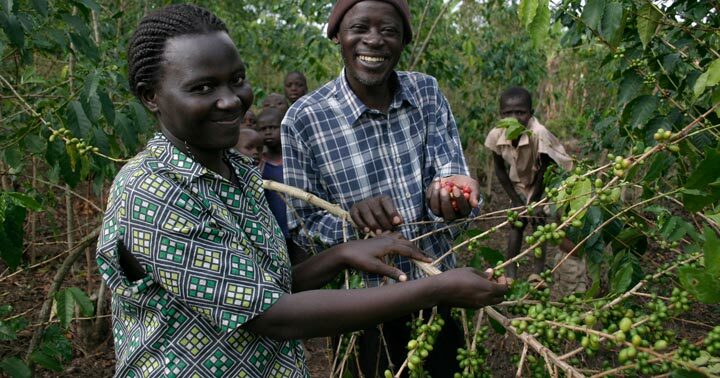 We have helped the 200 members who left the co-op to form a new intertribal/interfaith cooperative called the Naminyoni Community of Shalom Coffee Cooperative. 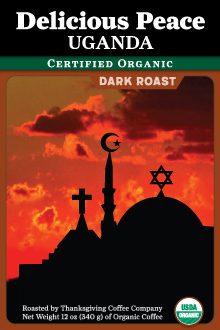 We now begin our second decade of interfaith support, happy to be their first and primary coffee buyer. 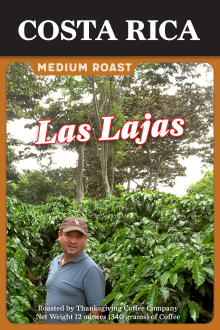 All 5lb coffee orders come in a single valved coffee bag. container, in a cool and dark place.